Dr. Mike Robinson, host of Parent Talk Live talks with Tamara Wallace Norman, a cancer survivor about how her faith and resiliency supported her desire to be involved in the academic life of her son. To listen online click HERE! 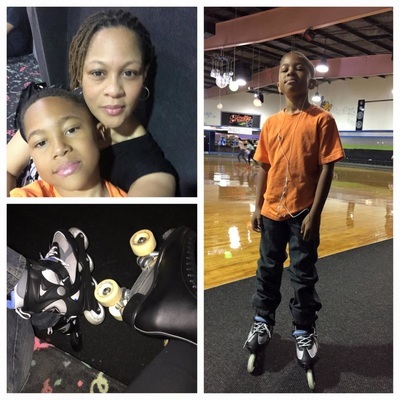 Tamara Wallace Norman, native of Dayton, Ohio, is a wife, mother, and avid roller skater. Tamara is also a breast cancer survivor. She was diagnosed in December 2011. At that time her son, Zion, was 6 years old and in first grade. He was also in his 2nd year of attending an immersion language academy where we was studying Mandarin. 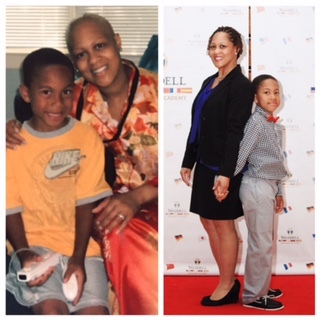 During Tamara’s cancer journey, she took a break from her 20-year career as a flight attendant in order to focus on treatment and supporting her son’s education. Her approach to dealing with life has always been to incorporate with her faith two attributes: resiliency and steadfastness. She has seen the effects of this positive approach to life play out in her ability to remain cancer-free for three years and in her role as a mother, helping her son to excel in his studies. Whether flying, gliding across the hardwood or writing about her passion for roller skating (you can find her at www.lacesandwheels.com), Tamara’s zest for life is most apparent. She currently resides in Charlotte, North Carolina, with her husband, Jaron, and her son, Zion.